Removing ear wax is a delicate process and you must be careful when doing it. Ear wax is sticky, uncomfortable, and a fact of life. While most healthy people do not need to worry about having ear wax removed from their ears, there are scenarios where ear wax removal could be necessary. Are you ready to get your ears clear? Here are some tips for properly removing ear wax from your ears. How Do You Know You Need to Remove Ear Wax? Your ear wax should be causing a symptom or blocking your ear canal before you worry about removing it. Since ear wax is a positive thing that stops debris and dirt from entering your ears, it shouldn’t just be taken out for no reason. About 5% of adults have problems with excessive wax accumulation or ear wax that can’t come out on its own. If you think you are part of this group, read on! 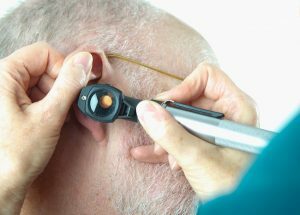 You typically cannot feel whether or not your ear has wax blocking your ear canal. If you are feeling pressure in your ear, it does not necessarily mean you have extra wax. A professional can look into your ear canal and see whether or not there is anything inside of your canal. Most doctors will use an otoscope to take a look inside. This does not hurt at all! You should never stick a Q-tip into your ear. Since Q-tips do not allow for much space for excess wax to come out, they often end up pushing ear wax further into your ear instead of taking things out. You should also never attempt ear candling. It seems like it can take wax out of your ears, but ear candling causes more harm than good. Candle wax on your eardrum is much, much worse than a little discomfort from excess ear wax. Once you are sure that you are ready to remove, you can get the process started. If you aren’t going to have the procedure performed by your doctor, you can purchase an at-home ear wax removal kit. Murine and Debrox both make reliable models that can get a great deal of wax out. Follow the package instructions to loosen and soften wax. Typically, these kits require a few days to work and get everything out. If you can’t do it on your own, a doctor can irrigate your ears. This entry was posted on Friday, February 2nd, 2018 at 12:46 pm. Both comments and pings are currently closed.